Well, Generation 2 Pokemon have finally arrived. It was thought that we’d have to wait until Summer to see the new additions, but that was far from the truth. Right now, nearly 100 new Pokemon are gracing screens of Pokemon GO. Of course, the extremely rare and legendary Pokemon have yet to be added. And they will likely not be added for a long time. Keep in mind, we don’t even have Generation 1 legendaries yet. Regardless, I was extremely excited recently when I pulled up Pokemon GO on my phone to see the message for the new update. Needless to say, I wanted to get started right away. It was late at night, but I needed to catch as many new Pokemon as possible. I pulled out my portable charger, hopped in the car, and went to my normal spot. There, I saw a scene I hadn’t witnessed in several months. Trainers were all around. Usually, I could spot a handful of dedicated players out in the field. This wasn’t like that. I saw groups of trainers, a dozen at a time, wandering between PokeStops. Sure, it wasn’t the same numbers I saw last summer, but it was refreshing to see a large crowd again. However, I didn’t let that distract me. I had a job to do. It was time to catch some Pokemon. My experience was very similar to the original release of Pokemon GO. I started off by catching a ton of Sentrets, Spinaraks, and Hoothoots. The biggest difference was that I had plenty of Pokemon to ignore in the form of Pidgeys and Rattatas. I was making good progress. Before long, I had a Furret. Eventually, I got my hands on a Slugma, Houndour, Gligar, and more. 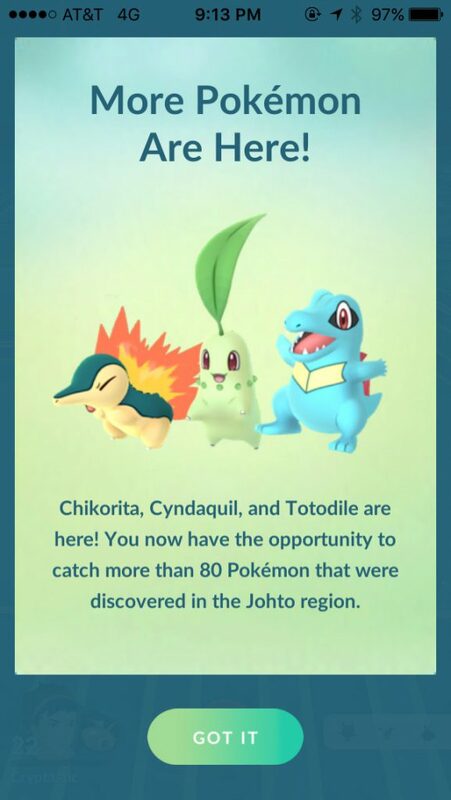 However, I was most excited about catching the Generation 2 starters, Cyndaquil, Totodile, and Chikorita. There was more to the update than Pokemon, though. Niantic Labs has added in new berries as well. One calms the Pokemon down. Another gives extra candy. Some of the new evolutions take special stones, too. 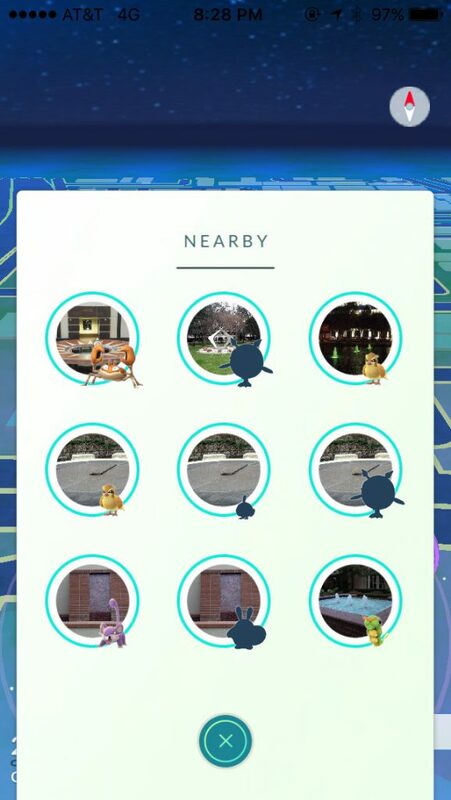 Those can only be found in PokeStops, and so far, I haven’t seen any. So they must be pretty rare to come across. That’s a little frightening, because a lot of the new evolutions require them. In the end, the Generation 2 update was a real success. I found myself trekking around like I hadn’t in months. I hatched way more eggs and saw more new places than ever before. It just goes to show that the excitement and intrigue of Pokemon GO is still out there. If you haven’t gone out to experience Generation 2 for yourself, you’re missing out. Get out there and catch some Pokemon. You’ll be glad you did.